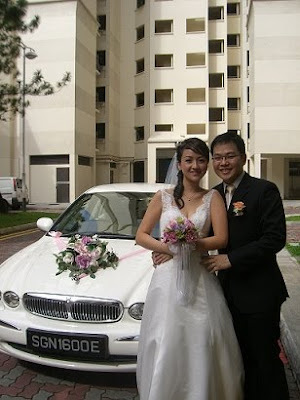 Rent Bridal Car: Congratulation to Noel and Mindy! 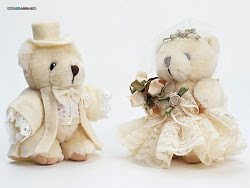 Newly Wedded on 3 January 2010! "Edmund is a professional. He is an effective communicator as he responds to emails and sms-es promptly, allowing arrangements to be made with no hassle. He also maintains his car in a very good condition. 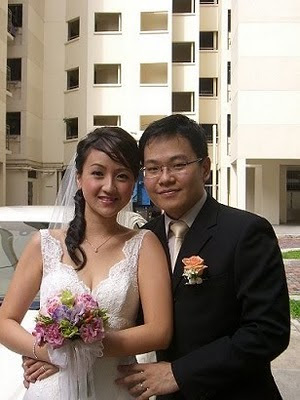 Edmund is trustworthy and responsible by always taking the initiative to offer us suggestions as well as making the arrangements for the bridal car decorations. He is also obliging and offers to go the extra mile."